The first Red-White Spring Game of Scott Frost’s tenure in Lincoln provided Husker fans with plenty of things to get excited about. However, it also revealed at least one thing for fans to worry about: place-kicking. Nebraska has had one of the steadiest kicker situations in college football the last few years with Drew Brown holding it down. However, his eligibility is up and Nebraska is left with a pair of freshmen duking it out for the starting job. 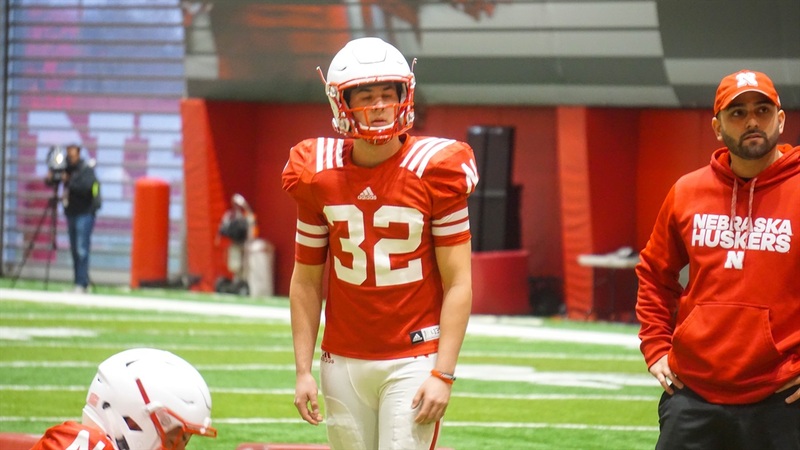 In the spring game, redshirt freshman walk-on Cole Frahm hit one field goal from 30 yards out but missed another from 43 yards and also missed his only extra point attempt. True freshman Barret Pickering went 7-for-7 on extra points but missed his only field goal attempt, from 27 yards out. That was back on April 21, however. On Monday, a few days into fall camp, outside linebackers and special teams coach Jovan Dewitt shared some thoughts on his two kickers. For the kickers, the fall camp kicker battle is a marathon, not a sprint. At this point, neither of the kickers has pulled ahead in the race, according to Dewitt. Place-kicking isn’t the only special teams job up for the taking. Nebraska needs a new kickoff specialist as well as Brown handles those duties last year. Dewitt isn’t limiting the battle to just the kickers, however. “I would tell you that as we exited spring, in terms of kickoffs, [punter] Caleb Lightbourn was probably ahead of the game a little bit, but Barret’s done a really good job in terms of strengthening himself," Dewitt said. "Obviously he’s going to be a little bit limited in terms of his natural stature and size for having the power that you necessarily want, but he’s really elevated what he can do with that. Pickering is listed at 6-foot and 195 pounds. Lightbourn, on the other hand, looks more like a linebacker or tight end at 6-foot-3 and 250 pounds. He was one of the most improved players on the team as a sophomore as he figured out enough control and accuracy to unlock his cannon of a leg. That power would serve him well on kickoffs. “I would tell you right now if you had to put a gun to my head and say that one guy or another, it would probably be Caleb right now, but I’m not telling Caleb that,” Dewitt said. Regardless of who is in the lead at the moment, the battle for kicking duties has a long way to go. The marathon has only just begun.